As a bad credit car dealership and finance provider, Red Potato is unlike most other car finance experts. If you have a history of bad credit, we can help you find an affordable used car as well as providing finance for the vehicle. As a specialist bad credit car dealer we understand how important owning a car can be. A reliable car might be vital in order for you to get to work so you can repay your debts. Or you might be successfully out of debt and looking to upgrade your current car. If you need help selecting a car, we can look at your monthly income and expenditure and suggest cars for you. We will base our suggestions on cars that would best suit your affordability and lifestyle. All cars are available with hire purchase finance. We can even help you if you have a history of bad credit. Fill out our online application form to see if you are eligible and we will get in touch to discuss your car and finance options. Our car finance calculator can also help you work out how much you can borrow by calculating the monthly repayments based on a loan amount. 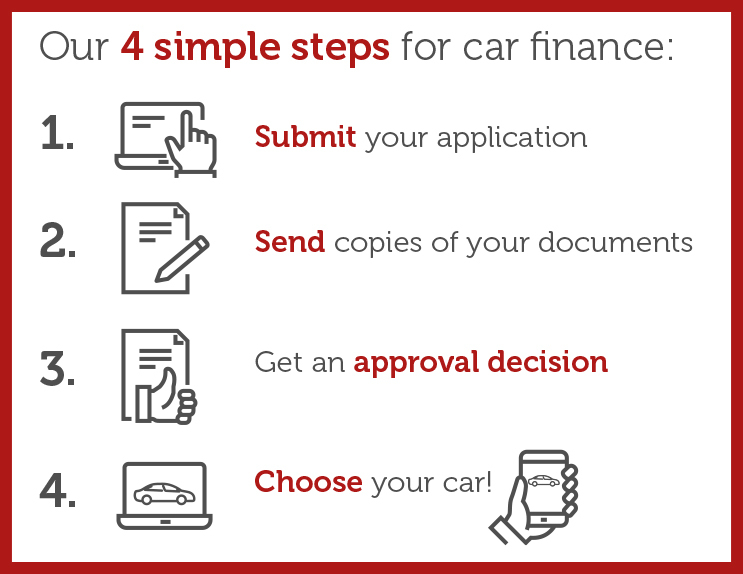 If you have found a car through a different dealer, you can still apply for car finance with Red Potato. Please be aware that we will need to approve the dealer you have chosen before we can offer finance to you. This is so we can make sure that the car meets our criteria and gives you peace of mind that any car you buy is from a reputable dealership. Just let us know the details of the car and the dealer that you are interested in purchasing from and we will take care of the rest!